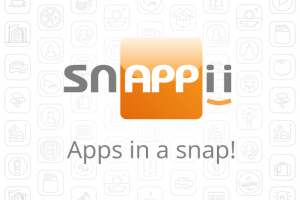 Snappii offers its Inspect Loaders & Report Damages Mobile App with a new unique feature. Today you can import your existing PDF forms into the app and make necessary changes. Inspect Loaders & Report Damages Mobile App is designed to ensure safety of people and machines working in the field. Nowadays work in the field becomes more convenient thanks to the new Snappii Mobile Forms Solution. Loader operators, drivers, technicians and other professionals can perform detailed inspections of the machines they use with their smartphones or tablets. Go paperless and keep up with the times! Snappii allows users no new forms to build or a form editor to use. Just upload your existing forms in Loaders & Report Damages Mobile App. Also you can add custom fields. The app is available for download from Apple and Google Stores. Try it right now and enjoy all the benefits of Snappii’s Mobile Forms Solution in upgraded Inspect Loaders & Report Damages Mobile App! This entry was posted in Blog and tagged Mobile forms, heavy equipment by blogger. Bookmark the permalink.